Situated together on the corner of Main and Sixth streets in the busy, historic district of Boise, three restaurants have something in common besides a large central prep kitchen: great cheese. Of course, BrickYard Steakhouse, The Front Door Taphouse and The Reef also have a common ownership team, but across the board, it's the melt factor that brings people back. So when self-described "oversight chef" Drew Leger came on board as the director of kitchen operations for all three spots, he knew he'd need to stick with Darigold, a brand he'd come to know in his 30-plus years of professional cooking experience. "Besides personality, these restaurants have a longstanding reputation for quality," says Leger. When he landed the job six years ago, he says he knew it was his responsibility to keep the proverbial ball rolling, making any changes he could to improve what came out of the kitchen. "Darigold makes a good product, so I kept it," he says simply. He sets out a steaming plate of the Reef's "Forbidden Nachos" as an example, covered with jerk-brined chicken, fresh jalapeños and green onions, pico de gallo, lime crema, and—you guessed it—a mixture of gooey cheddar and Monterey Jack cheeses. "People know our nachos are going to be awesome and big. But what's the number one thing people love about them?" challenges Leger. "C'mon. It's the cheese!" And in this kitchen, there's a lot of it. The restaurants go through four to six 40-pound blocks of cheddar per week, so kitchen staff are familiar with how the cheese grates, stores, and melts. If something were to go wrong during production, they'd know it. 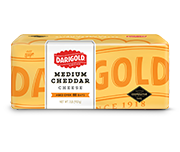 "There's never any caking with Darigold's cheese, so we can grate it into 23-quart barrels and it never clumps up," describes Leger. There's also a melting quality that they rely on to keep their nachos delicious without being greasy. "We fry our own chips," explains Leger, "so the plate is prone to oiliness to begin with. But the cheddar always melts smoothly—and more importantly, no liquid comes out of it when it melts—so we get perfect nachos instead of a big, greasy mess." That fact that customers have made The Reef's nachos their second best-selling product (only after their signature coconut chicken) reflects the quality of the cheddar. One door down, at the BrickYard Steakhouse, cheese-centric favorites like the grilled cheese salad, BrickYard mac-and-cheese, and their famous cheeseburgers also rely on the perfect ingredients. Ditto for The Front Door, the pizza joint around the corner. "The flavor of Darigold's cheese is just amazing," says Leger. "The salt level is just right. 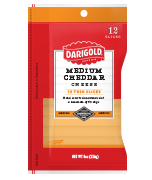 We use the mild cheddar most often, but it eats like a medium." 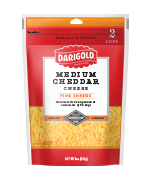 In any case, customers like it, so the restaurants are dedicated to Darigold's cheddar. "Guests come back for the consistent quality of our food," says Chad Johnson, who owns the restaurants. 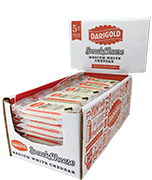 "I have used Darigold products for over eight years, since I started my first restaurant. The name is synonymous with quality!" And the nachos, it should be noted, are unbeatable.